Pet Insurance Australia is a specialist provider of pet insurance, providing cover to more than 30,000 pet owners Australia-wide. It is a three-time winner of Canstar’s Accident-Only Pet Insurance Award. What types of pet insurance does Pet Insurance Australia offer? Pet Insurance Australia offers each of the three major types of pet insurance: Accident Injury Cover, Accident Injury and Illness Cover and Major Medical Pet Insurance Cover including Routine Care. These different types of pet insurance allow you to tailor your policy to your budgetary and pet needs. 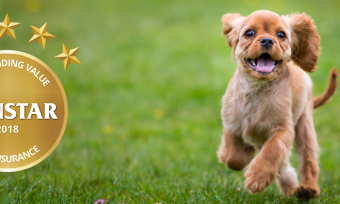 If you’re unsure as to which kind of pet insurance is most appropriate for you or would like to better understand the different levels of cover, check out our guide to the different kinds of pet insurance. What breed of pets does Pet Insurance Australia cover? Pet Insurance Australia covers dogs of all different sizes, including small, medium and large breeds. 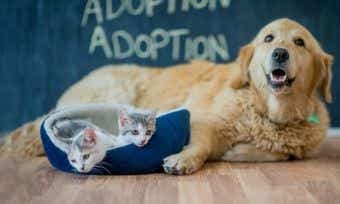 Pet Insurance Australia also offers cover for cats, and for each animal, you can choose a tailored policy based on that breed’s requirements. Pet Insurance Australia does not offer cover for other kinds of animals such as birds and horses. How do you take out pet insurance from Pet Insurance Australia? You can purchase a Pet Insurance Australia pet insurance policy by first comparing your choices with Canstar’s comparison tables (below) and then applying online using its quote generator. If you need help applying, call Pet Insurance Australia on 1300 043 552. 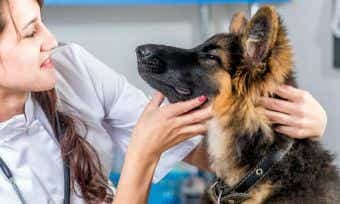 What is not covered by Pet Insurance Australia? Pet Insurance Australia may not cover you for elective procedures as well as treatments required due to negligence or lack of due care. It’s important to read the Product Disclosure Statement to find any exclusions listed in a policy and to also consider what illnesses your pet may need coverage for. For more information about what’s not covered by some pet insurance policies, check out our list of 13 common pet insurance exclusions. What is the age limit for pets covered by Pet Insurance Australia? Pet Insurance Australia has a maximum age limit of nine years for its comprehensive pet insurance policy and a minimum entry age of eight weeks. This means you can’t apply for a new policy outside of this time frame, although you can look for a policy that offers lifetime renewal, which means your provider won’t cancel your policy due to an ageing pet as long as you continue to meet your requirements as a customer. Does Pet Insurance Australia give me the option to visit my vet of choice? Yes, Pet Insurance Australia gives you the right to choose between any licensed vet in Australia. Does Pet Insurance Australia place an annual benefit limit on pet insurance claims? Yes. The annual benefit limit and claim terms and conditions for Pet Insurance Australia’s Major Medical Cover (Accident, Illness & Routine Care) policy is $15,145 – check the policy’s terms and conditions to find out more. Find out more about pet insurance benefit limits and how much you can claim here. What percentage of vet fees are reimbursed by Pet Insurance Australia? Pet Insurance Australia allows you to receive a reimbursement of 80% of your vet costs. The reimbursement you receive will depend on the age of your pet and various other conditions, and is applicable to each type of policy. How do you lodge a claim with Pet Insurance Australia? You can lodge a claim with Pet Insurance Australia either online or by mail. To claim, upload a copy of both the itemised invoice and the consultation notes from your vet visit, as well as a claims form (downloaded on the site). Send in this form using your online portal or mail it to Pet Insurance Australia (Locked Bag 9021, Castle Hill NSW 1765). How do you renew your pet insurance with Pet Insurance Australia? Your Pet Insurance Australia policy will automatically renew if you choose not to alter or cancel it after receiving your renewal notice. You must notify Pet Insurance Australia if you do not wish to renew your policy. 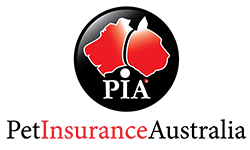 Pet Insurance Australia is a family-owned pet insurance business that has been running since 2008. With three consecutive Canstar Awards in pet insurance, Pet Insurance Australia clearly knows how to provide high-quality pet cover. Pet Insurance Australia has come to serve over 30,000 pet owners Australia-wide and is underwritten by The Hollard Insurance Company, which has over 18 years of international experience.